Showing the view from a house can just almost as important as showing the the actual house. Shooting that view at the right time of day with the right elements are also important. Mt. Hood is only visible from the from this Happy Valley home on select days. To the get the moon in the photo is all luck. Mt. 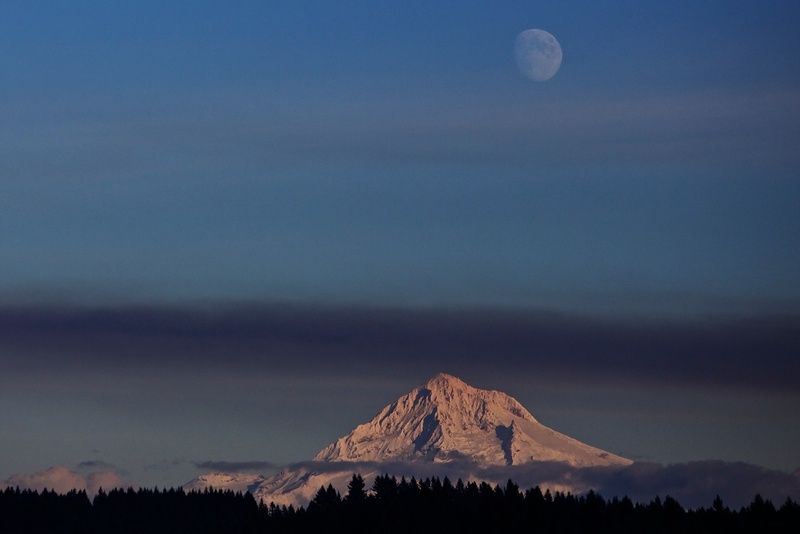 Hood, smoke, moon on Thu., Oct. 25, 2012.